this is it banana princesses and sparkle pixies. this is the day. the last day of a beautiful and well-lived era. au revoir student charlotte. hello grown up charlotte. Congratulations!<3 I'm so happy it has been such a fun era! Congratulations, I hope the next era is even more wonderful than the last was. welcome to the world grown-up charlotte! I hope you'll have fun and you'll see that you don't always have to BE a grown-up, even though you are. Congrats! I graduated in June, and it was one of the most memorable days of my life. why hello grown up charlotte! how wonderful to have come to the end of an era! and what a lovely lovely place you are in these days. the dreamy pictures of you with that tiny heart make me so happy! oh how i wish i could put you in a little velvet box and carry you around in my pocket. i could take you out and whisper to you and you would show me all the prettiness in the world and make me see all the tiny things i always miss. you are too amazing, sweet charlotte. i just can't believe how precious and pretty your blog is. kisses to you, darling girl! I'm still hiding from the grown up world. Tell me what it's like? congrats! are you a brunette now?! congrats! grown-up world hits me in a year. oh boy. Congratulations!! I have a coupe of years left until graduation; not looking forward to that being over with, heheh. Please be sure and pop by my blog and comment! I'm having a bit of a go at a photo caption contest-- enter! congratulations, charlotte! :) it's your big day! hehe. i hope you'd have a special and memorable one! oh, both my brother and boyfriend are graduating soon too! i'm so excited :) have a beautiful day, love. It's not the end but a new beginning. 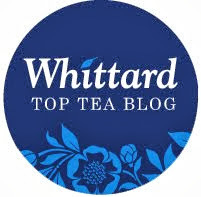 Welcome back to blogland, fellow tea drinker. Happy graduation! Wow, that's exciting! I love your new header too! Congratulations my darling Charlotte! That is so exciting, to graduate. You have so many new adventures to look forward to. I am finally back from my journey and face an overwhelming amount of photographs to edit. But some are ready for you! I want to thank you times a million for the awards you gave me. I appreciate them so much and would give them right back to you! Hi! I love your Blog is ♥ ! I will follow it! nd congratulations! I love your blog! The photos are (L)! I will follow it! And Congratulations! Oh and BTW I very nearly went to Nottingham Trent uni to study fashion but ended up going to London College of Fashion instead! Graduated a few years ago, god it seems weird saying that. Feels like it was not so very long ago at all. hi apologize was great song. you were tagged on my blog and you need to tell us about your ten random facts and tag another ten blogs. graduation is so wonderful and sad at the same time :) congatulations! Oh lovely lovely lovely! I've missed your blog so much!! Congratulations on graduating, that's so wonderful. My name is Sandra Martins and I’m developing an investigation with the theme: “Blogs: Fashion and Identity”. This investigation is insert on a Master in Fashion Design, by the Faculdade de Arquitectura de Lisboa in Portugal. I made a quiz which supports the investigation, has only 5 questions and is dedicated to bloggers who have blogs which lead content is fashion and the diffusion of personal style. In the first 4 questions of quiz, please rank all the answer’s options, with the number of stars correspondent to your rank agreement, being 1 star means I don’t agree and 5 stars means I agree very much. i love your blog, its too cute. The biggest congratulations on your graduation! So exciting!